It’s finally here! The snow is falling and the slopes are opening. 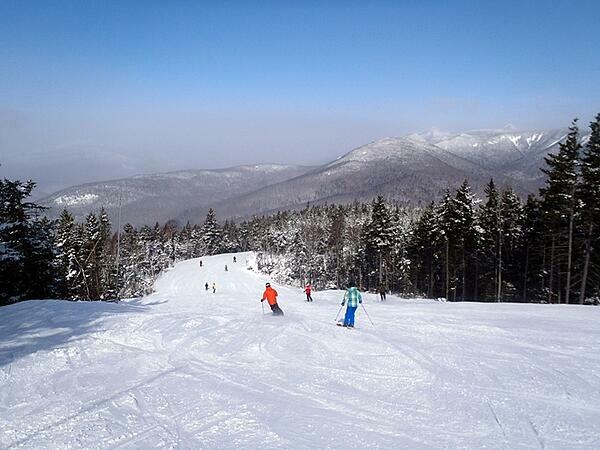 If you haven’t yet, it’s time to book your family ski weekend in the White Mountains. This season is projected to be a big one for snowboarders and skiers alike. With only a couple days to pack in all the fun, it can be stressful deciding what to do. Where do you go for dinner Friday night? What time should you be on the slopes? How late should you stick around on Sunday? 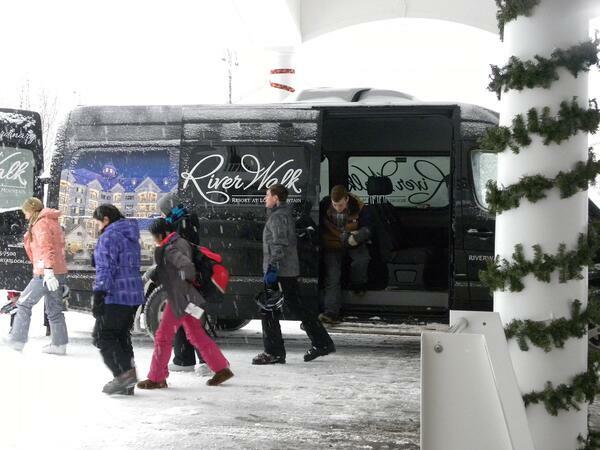 RiverWalk Resort has an family ski weekend itinerary to help you answer these questions and more. In addition to the itinerary, we also created a downloadable and printable packing checklist to help you get the whole family ready to go! Quick Directions: If you live right off of 93, this is going to be the easiest ride of your life. No need to pull out Google Maps and waste data. Get on 93N, get off at Exit 32 and take a left off the exit, and RiverWalk Resort is in town about a mile down on the right hand side. If the car is packed, hit the road as soon as you get out of work. Whether you can get here at 7PM or 10PM, there are plenty of dinner options for you and your family. If you’re worried you won’t make it on time, you can also take advantage of RiverWalk’s partnership with Purple Tomato and order groceries in advance to be placed in your room. Or, stop at the many restaurants along the way up 93N. When you arrive at RiverWalk Resort, check-in and make yourself at home. If you happen to get up here earlier, check RiverWalk’s event page to see if we’re hosting an ice skating show or winter celebration! Our adventure concierge is happy to direct you to any local happenings. 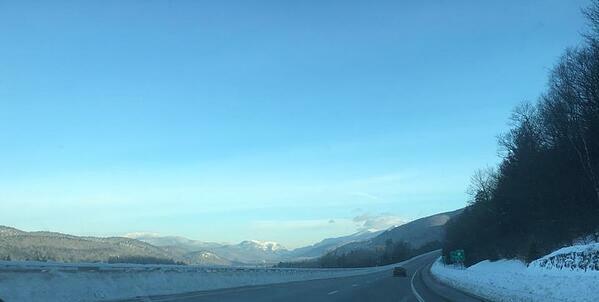 9AM - Get to Loon, put on ski/snowboarding gear or rent gear. The mountain opens at 8AM on weekends if you want to get there earlier. Enroll your kids in ski classes and enjoy the slopes. 1PM - Hit the slopes for the next couple hours with the kids following their ski lesson! Tip: Not a skier/boarder? Loon also has ziplining, snowshoeing, and tubing. Or book a day at Solstice North Day Spa. 3PM - leave the slopes an hour before Loon closes at 4PM to change out of your gear into your change of clothes. 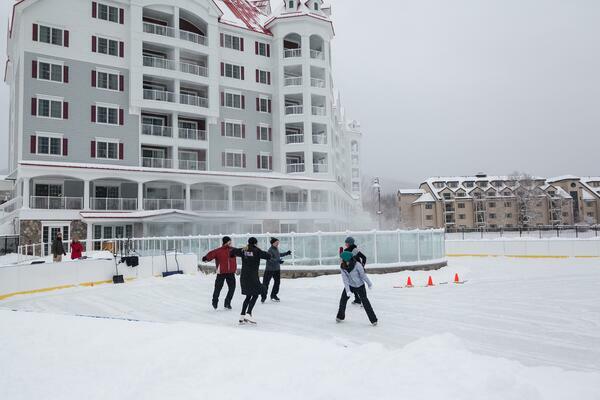 3:30-4PM - Head back to RiverWalk Resort and call the front desk to see how late the rink is open. If it’s still open, grab your skates and get on the rink! RiverWalk owners and rental guests receive free rink admission. Rink is open to the public. $10 skate rink admission. Rental skates available for $10. Limited sizes available. 5PM - Dinner time! 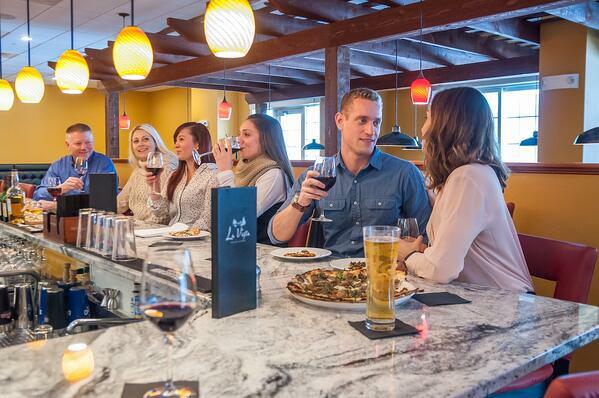 Head down to La Vista Italian Cuisine in RiverWalk Resort for dinner or explore downtown Lincoln for plenty of family friendly options. 12PM - The fun doesn’t have to stop if you’re in no rush! Visit the many local attractions and businesses of the White Mountains. Snowmobiling tours, local shops, hiking trails, the ice castles, and much more! Now that you’ve got the packing list and the itinerary, all you have to do is reserve your suite at RiverWalk Resort! Planning a vacation should be fun. With the help of these guides and our adventure concierge, vacationing just became easy and stress free. Reserve your suite today before the weekends are booked for the season!